Bad solutions are often introduced with the word “just.” A proponent will suggest, “Let’s just…,” or ask, “Why don’t we just…?” implying that their proposal is simple, obvious, and effective. If only! In practice, policy decisions generally involve complex trade-offs between diverse goals and impacts. It is planners’ responsibility to considered this complexity. Affordability planning is a good example. 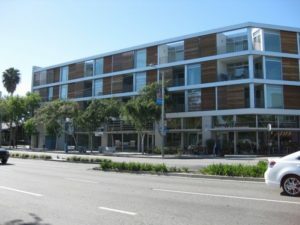 Many attractive and economically successful cities (e.g., New York, Seattle, San Francisco and Vancouver) are unaffordable; many households must spend more than 45% of their budgets on housing and transportation, leaving insufficient money for other essential goods such as healthcare, food, education, and fun. These high living costs prevent many responsible and hard-working families from living in desirable communities and make it difficult for employers to attract the talent they need for economic development. Virtually everybody benefits if any family that wants can find affordable housing in attractive and economically-successful cities. For more than a year, Gerardo Urbina and his family have had to place a bin in the middle of the bathroom floor to absorb water dripping from the upstairs apartment. They’ve had to kill centipede-like bugs that emerge below the bathroom sink, observe rats darting from the apartment complex dumpster, and withstand the smell of gas that permeates their home while they use the kitchen stove. These are all issues Urbina, 44, and his family has been dealing with for months as other empty units in their complex were renovated under new ownership. Upgrades haven’t been made to units already occupied by tenants. 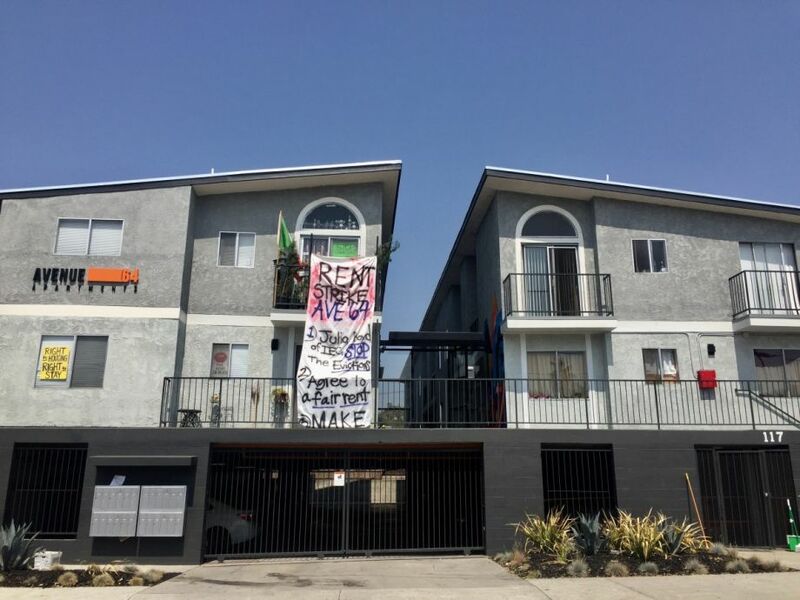 That’s why Urbina was taken aback when in March he received notice that rent for his two-bedroom apartment would be raised from $1,160 to $1,860. President Trump’s proposed 10% tariffs on $200 billion worth of Chinese imports — including nearly 500 products used in residential construction — could have major ramifications for the housing industry. Of the planned $200 billion in tariffs, NAHB economists estimate that $10 billion of goods used by the home building community would be subject to the 10% levy. Put another way, if the tariffs take effect, this would represent a $1 billion tax increase on residential construction.Keep in mind that this tax increase would come on top of the current 20% tariffs on softwood lumber imports from Canada. Since the beginning of last year, lumber prices are up more than 40% due in large part to the tariffs, and this higher cost has added several thousand dollars to the price of a typical single-family home.This is why it is absolutely imperative that the Trump administration resumes talks with Canada to find a long-term solution to this trade dispute that will ensure American home builders and consumers have access to a reliable supply of softwood lumber at reasonable prices. Underneath the bulging eyeball that overlooks a road into Blue Bonnet Mobile Home Park, a sign advises: “Slow Down.” But the pace of activity under its watchful gaze has been anything but slow over the past year, as one resident after another has packed their bags and departed, leaving behind memories of neighbors holding barbecue block parties and children playing together, back in the days when area homes sold for $30,000. All that remains at this mobile home park on East Evelyn Avenue is yellow caution tape, a spare stove here, an orange tree there, a community swimming pool — and a handful of residents who have defiantly stuck around to fight a David and Goliath battle against the forces of the park owner, the developer she’s hired to build 62 three-story townhouses and the city of Sunnyvale. Ultimately, though, their enemy is a relentless Bay Area real estate market that is driving low-income residents out of the region. 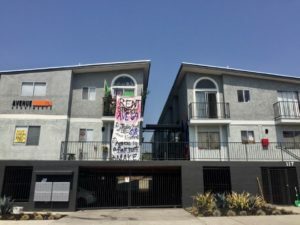 Sometime this fall, 32 homeless people will move into a supportive housing project now rising on Colden Avenue, a transitional street of apartments and aging houses in South Los Angeles. Soon after that, another group of people who are not homeless, and in fact quite well off, will also begin receiving benefits from the nine-unit apartment building. Fifty-six equity holders who financed the project will begin to see their first returns, expected to be about 5% annually. The $3.6-million housing project, built from shipping containers, is an experiment in using private investment to create homeless housing. Its backers, led by a family-owned Westside real estate investment company, hope to replicate it to produce thousands of units financed entirely by people willing to accept a modest return on money invested in a socially beneficial purpose. 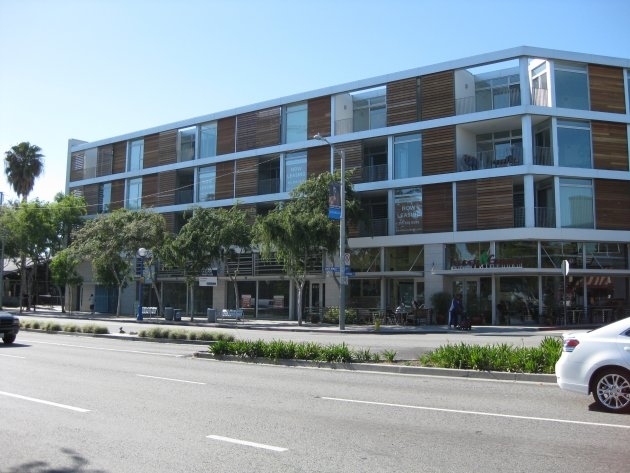 After its completion, the building will function much like the permanent supportive housing that is being constructed with subsidies from the city’s $1.2-billion Proposition HHH bond. If we believe that cities provide economic opportunity, produce fewer carbon emissions per capita than urban sprawl, that cities are more energy efficient, that they have less impact on oceans, lakes, rivers, and streams, that cities afford people of a wide variety of ethnic, economic, and cultural backgrounds to live close to each other and learn from one another, then we should believe that more people ought to be able to live in cities. That means we believe in more housing. If the number of housing units meets or exceeds the number of people that want and need them, those people have more freedom of choice, more mobility and more opportunity. It also means a smaller percentage of their income has to be spent on the basic necessity of shelter. There are two groups of people slow the production of more housing. It’s no secret the San Francisco Bay Area can be a tough place to raise kids, and now a new report sheds light on those families sticking out. Looking at data from the U.S. Census Bureau, RentCafe found the number of families with children who own their homes in the San Francisco metro area has dropped dramatically, while an increasing number are renting. Researchers at the apartment search site found a 10 percent decrease in homeowner families, meaning 31,000 fewer households with children within the metro area. On the flip side, there was a 33 percent jump across the 10-year period in families renting, with an increase of 57,000 renter households. Plans for a 90-unit affordable senior apartment complex got a major boost this week, as the Fremont City Council approved loaning the developer over $6 million to cover land and pre-development costs. The Irvington Senior Community Apartments are planned for a 1.4-acre site that formerly housed Roger’s Camping Trailers, at 4038 Irvington Ave., near the intersection with Fremont Boulevard. The apartments would be offered to people age 55 or older, who have experienced homelessness or who are veterans, according to a city staff report. It would also include supportive social services on site. The development is proposed by Allied Housing, the building and development arm of Fremont-based affordable housing provider Abode Services. While the project design is still in early stages, city development staff “is working closely with Allied to ensure that the proposed project meets all city design policies, guidelines and standards,” according to a staff report. With California’s problems of affordability and congestion, many of us are paying a higher price for an ever-shrinking sliver of California paradise. Even those lucky enough to be able to afford a home often do so at the expense of some of the quintessential perks of life in the Golden State. The downsizing of the California dream is readily apparent for Jenny Gov. 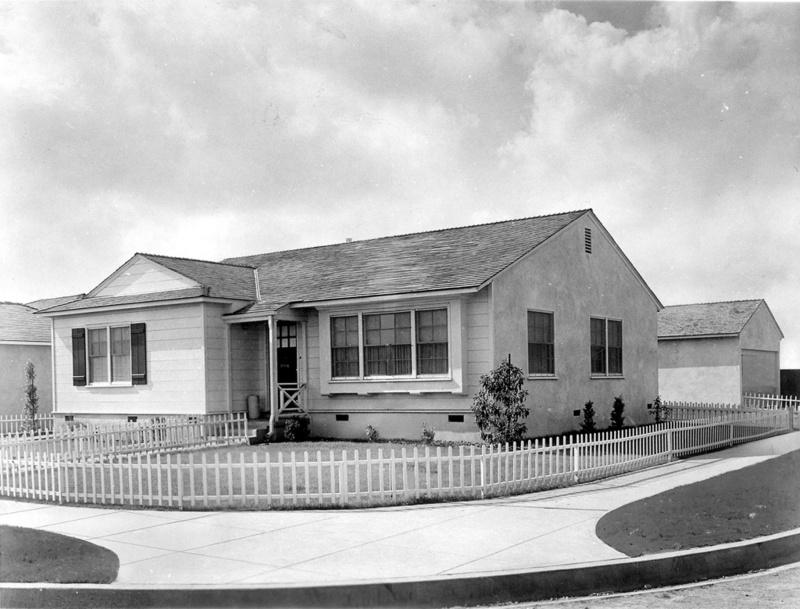 In 2015, she and her boyfriend bought a home in Lakewood, a bedroom community near Long Beach that was once a classic example of the mid-century suburb and all that it offered — including easy access to good jobs, tight-knit community, the beach, the mountains and nearby Los Angeles. Gov and her boyfriend moved here seeking many of the same things tens of thousands of buyers before them sought in Lakewood, only today they’re paying a higher price and getting less. From the end of the Second World War until a few years ago, when it cooled off, productivity surged across the U.S. economy, giving rise to what’s often called the “productivity miracle.” From manufacturing to agriculture to retail, industry after industry became cheaper, faster, more mechanized, and more efficient. But the same can’t be said of construction. Productivity in construction has not only not risen, it’s actually lower now than it was in 1968. The way that most large buildings get built hasn’t changed much from 50 years ago. It goes by a deceptively straightforward name, “design-bid-build.” First, a developer or owner hires an architect, who comes up with a rough design. To flesh this out, the architect brings in consultants such as engineers and landscape architects, and sometimes niche consultants like food-service specialists.